Elon Musk has made himself famous as the modern age Thomas Edison. But now we find out that, unlike with Edison’s massive economic success, not a single company started by Musk nor any product there from have been financially successful. The truth is he hasn’t made a penny and the way he’s become a billionaire “inventor” is to have his “business” empire underwritten by hundreds of millions in tax subsidies. 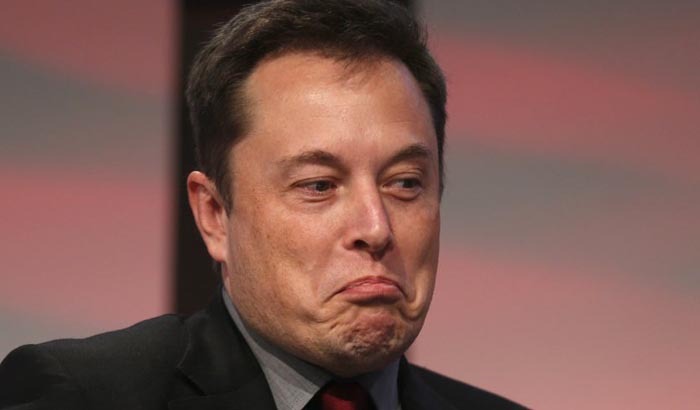 That’s right, America, you didn’t make Elon Musk a success because you bought his products, you made him rich because he steals away your tax dollars for his failed businesses. But ATVM is only one part of the story. …Then there’s SpaceX, which got $20 million in subsidies from Texas to build a facility there. The Tesla Gigafactory is being built near Reno, Nevada with aid from $1.3 billion in tax incentives. There’s also the $517 million Tesla has collected selling zero emission vehicle credits to other automakers. Still, Tesla and SpaceX continue to report net losses. He’s actually a total failure as a businessman. But he is wildly successful at getting government money.